In this case, you must download the program and make a manual activation. See instruction below. Listening Singing Teacher was introduced in 2009. It was one of the first programs that gave pitch feedback. I used the processing power of the then modern micro processors to analyze the voice. I also tried to simplify and visualize musical concepts by introducing: The Red Pitch Dot, The Colored Pitch Line, The Counting Hints Line, etc. As of Apr 2019 the program is free. You do not even have to give us your email address, just download the program and see how pitch feedback works for you. If you like the program, please like our facebook page PitchFeedback, follow us on twitter @PitchFeedback, or subscribe to the youtube channel PitchFeedback. Why wait? Start today and enjoy singing with confidence: Knowing that you are in tune and rhythm. The picture is only for illustrative purposes, the box is not part of any delivery. "click on image" to get a full size view of the box. If you do not make progress during the trial, do not buy! Our method has to work for You! The trial period is free. You do not even have to give us your email address, just download the program and try if it works for you. If you use the program over the trial period (ten hours usage - feedback from your teacher Felix), please be fair and buy the full version. By getting a Serial-Number you will also get access to all exercises. Why wait? Start today and enjoy recognizing chords with confidence: Knowing that you have understood the musical system behind the chords. The esellerate dialog allows you to choose your native currency. When buying you also get the option to order a CD. Please ask for special pricing for your Institute. If you use the program over the trial period (100 days- feedback from your teacher Felix), please be fair and buy the full version. By getting a Serial-Number you will also get access to all exercises. Why wait? Start today and enjoy progress towards an absolute ear: Know the precision to which you can hit the notes. The payment is via the esellerate e-commerce solution. You can securely use your credit card or PayPal account. If you use the program over the trial period (100 days - feedback from your teacher Felix), please be fair and buy the full version. By getting a Serial-Number you will also get access to all exercises. Why wait? 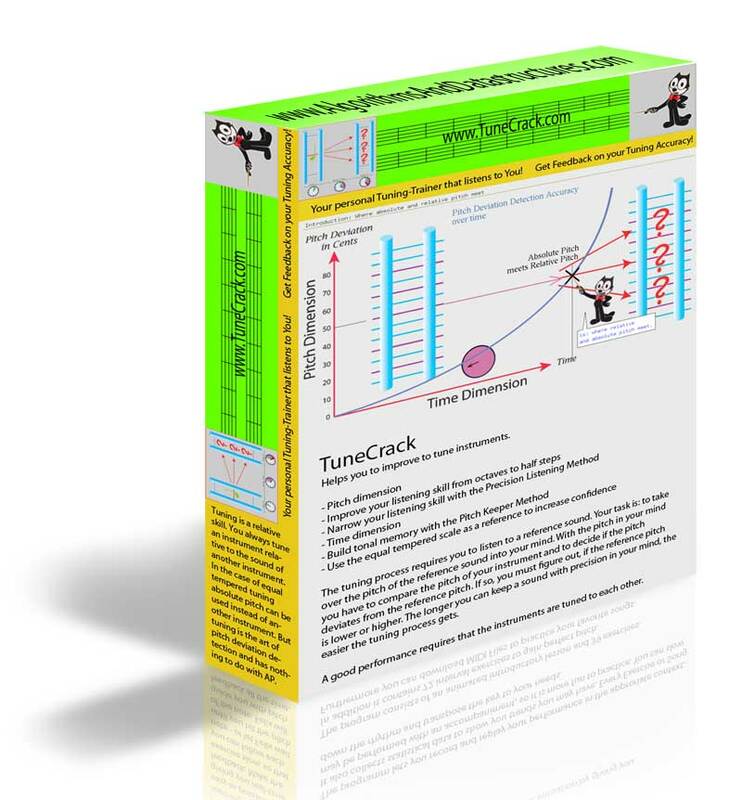 Start today and enjoy progress towards better tuning: Know the precision to which you can tune instruments. Why wait? Start today and enjoy progress towards a better pitch memory: Know the time how long you can remember a pitch. I define the Pitch Ability as the time between hearing a pitch and the accurate reproduction of the pitch with your voice. Since the time is unlimited, an upper limit is proposed: Felix's Pitch Point is at 4 minutes. To count as accurate, the singing or humming back of the pitch must not deviate more than 25 cents from the original tone. The maximum deviation during the one-second singing back time is 50 cents. Being able to take over a pitch and keeping it in your mind, I call: the transition from aural to mental pitch control. Taking over a pitch accurately is a basic music skill, since to play in a group requires that the instruments are synchronised pitch-wise. Since the test measures your ability gradually in seconds, it can be used as an indicator, on where you stand on the road to Absolute Pitch. Start today, download the progran and find out how long you can hold a pitch in your mind.. Learn to identify pitch-distances. Having a good relative pitch means that you can identify another pitch in relation to a given reference pitch. In musical terms the distance between two notes is expressed as an interval. For example a Major Third. Distances that are larger than an octave are called compound intervals. Instead of interval names the distances can also expressed as half-steps. A half-step is the smallest interval. Since PitchBlitz goes beyond the accuracy of intervals, PitchBlitz uses half-steps and fraction of half-steps to describe pitch-distances. That is in advanced hearing exercises a distances may for examples be: 3 half-steps and a third of a half-step. In this way PitchBlitz sharpens your relative pitch hearing, by forcing you to listen carefully for deviations of standard intervals. 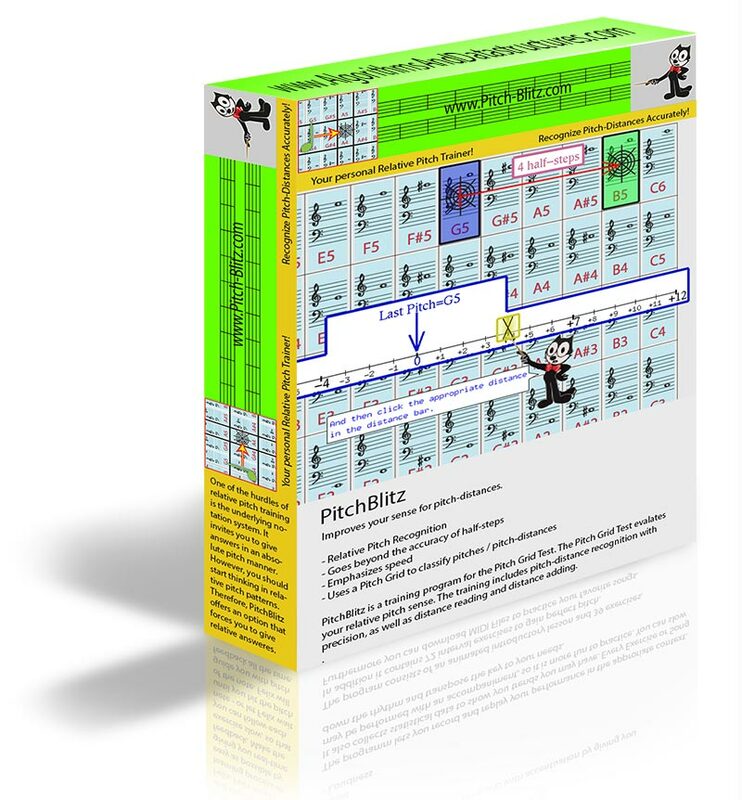 In addition to precision listening, PitchBlitz attaches importance to speed. Relative pitch detection should be fast. Speed helps to make pitch-distance detection an automatic process.To be a master in relative pitch, you've got to be able to detect pitch-distances blindfolded. 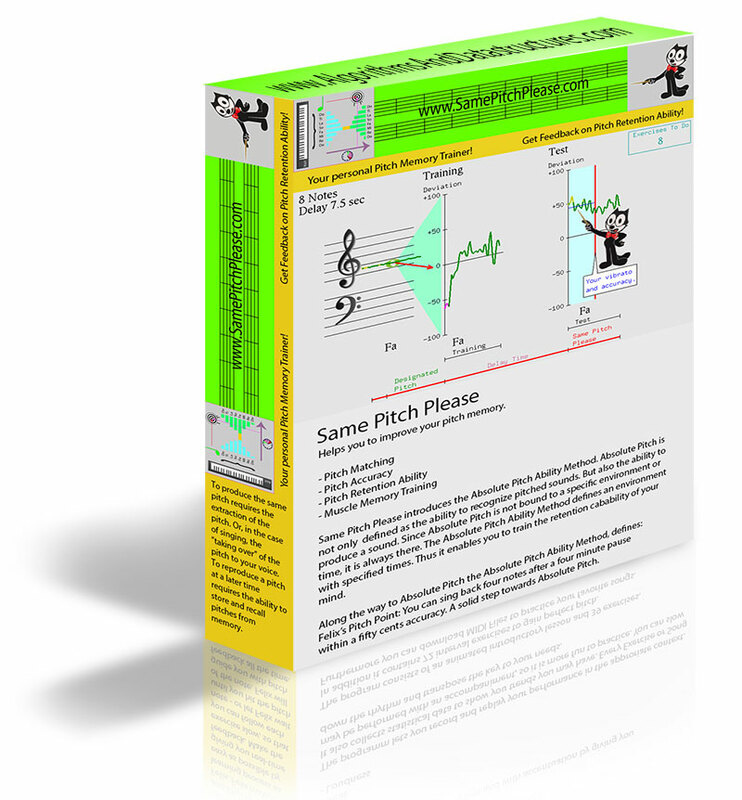 PitchBlitz assigns your excersies a score. So, you can easily observe your progress over time.A good score will give you confidence that you can identify pitche-distances with accuracy and speed. Why wait? Start today and enjoy progress towards better pitch-distance recognition: With accuracy and speed. 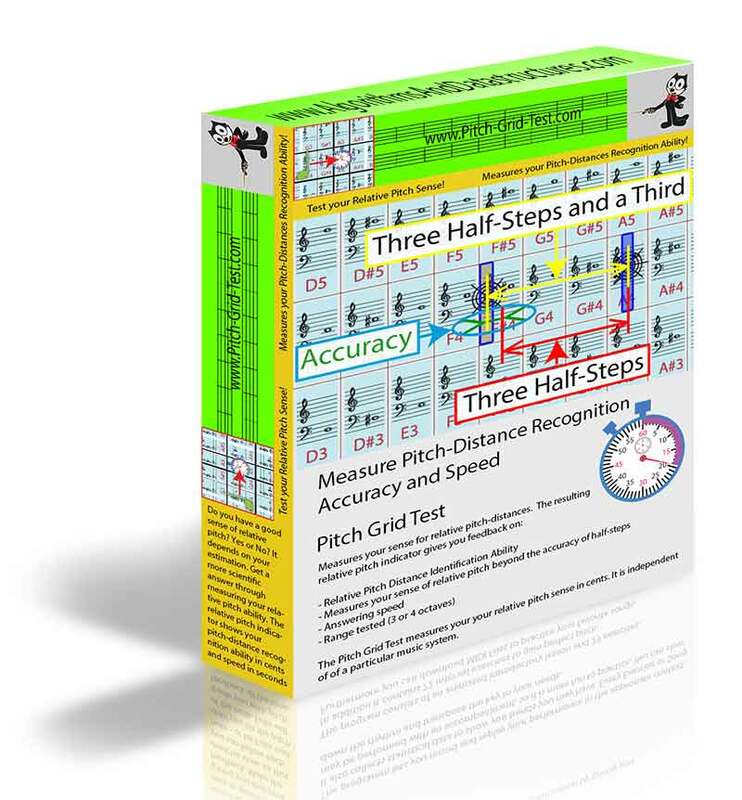 The Pitch Grid Test measures your ability to discriminate pitch distances. Relative pitch ability is often expressed in phrases such as "having a good relative ear", "very good relative ear", "adequate" or "poor relative pitch sense". 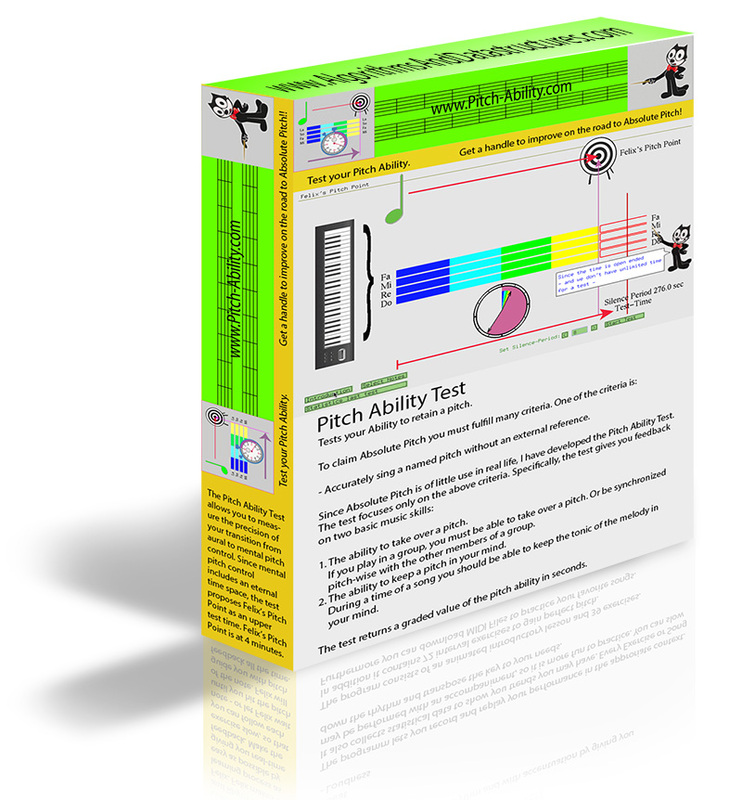 The Pitch Grid Test gives you a quantitavive relative pitch indicator., which consists of your ability of pitch distance recognition in cents and answering speed. Start today and find out where you stay on the road of relative pitch. Please, let me know if you want to make a study about relative pitch ear training (using this method to assess progress). If you answered True to the first and last question and False to the middle question, stop reading: you are already there where this course will guide you. If you answered differently to any of the above questions, then you need guidance. All singing teacher will agree that singing off pitch and off rhythm are not the attributes of a good singer. When singing you have to stay in tune and in rhythm with the accompaniment or it will sound like disorder. Therefore singing on pitch and on rhythm are key factors for any singer. To improve in these areas, you need the appropriate feedback. Before you go out and rush for the top listed products, check if the advertised courses evaluate your performance by listening to you. Or, if you have to do a self-evaluation - based on your ear - by comparing your recorded voice to a recorded sample . eBooks are not computer programs, however if you are looking for breathing techniques, overcame stage fear, etc., these courses may offer you techniques, tips and samples (sounds, videos) in a consise form. In contrast Listening Singing Teacher is a program that makes heavy use of your computers "brain": Like a human the program needs a lot of concentrating work to listen to you. So it may be necessary that you close unnecessary windows to get the required performance. By analyzing your voice, you get the much needed feedback on where your singing is. This guidance is necessary to make progress, may this guidance be through a human, a specialized device or a program. The active production of a sound and the visual feedback will help you to associate and relate the sound with your imagination. Recalling a correct imagination (visual and auditory stimuli) in your mind, will produce the correct sound. And don't be a fool: Learning has to do with training and repetition. The process of learning involves repetition: May it be by tradition (reading, hearing), observation, or direct experience. The direct experience is the most effective way, since your personal feelings are involved. Observation is: Seeing (or hearing) it again and again is believing. Tradition may have a deep influence on you or have the least effect on you (heard and forgotten) depending on the depth of the tradition (existing repetitive forms of a pattern: ingrained, celebrations, worships). So we ask you to do regular short training session, and not to give up at the first obstacle. By actively singing and reflecting your performance, you build up a personal experience and get confidence on the process of building a correct sound in your mind. You should see less "spikes" in the pitch curve. That means you you have less situations where the pitch cannot be determined (purer sound). It is normal in the beginning to have spikes during the transition from one note to the other. When you use the option "Wait till Hit" you should be able to correct your voice faster to the target pitch. You should see a progress in holding the notes on pitch for a longer time (getting more points). You should see that you can hit more notes at the first go. Your high score should go up. Don't forget the rhythm exercises in the introductory lesson. By practicing you should get the feedback "Wow, We have got a new drummer" (this should not be too difficult). At least you should observe the beat score counter getting better. If you do not make progress in any of these points, the program may not be suited for you. (Important: Your microphone should allow you to make loud sounds without you shouting into the microphone. Be sure to have a microphone-in connector (a line-in connector needs a preamplifier!)). Of course, you still can buy the program as a collectors item to show your grandchildren how much fun and challenging it was before you could learn to sing just by taking a pill (the arrival of such a pill may take a while, I would not hold the breath for that). Windows Vista Users please download the trial and check your sound card/system for latency (See Testing Latency under Support). Since the OpenAL support is better on Windows 7 than in Vista, upgrading to Windows 7 may help. On Macintosh systems or Windows XP/7 systems we did not see that kind of latency, but feel free to do the test and report any systems which show latency. . If you have stage fear or want to increase your tone range (or if you believe some advertisers that you could ruin your voice without their advice), we recommend that you consult a vocal teacher. Listening Singing Teacher does not focus on vocal techniques (e. g. breathing, "chest", "middle" or "head" voice, etc. ), instead it teaches you the basics: How to stay on pitch and rhythm. Increasing your tone range may involve exercises, which go to your limits and therefore stress your voice. For this course the following rules apply: Do not force your voice, stay relaxed, start with easy notes, go slowly and keep exercise times short. Good nutrition is always a sound advice, not only for singing (avoid hard drinks, spicy meals and smoking). And as for any exercises, before you go to the extreme: Do warm-up exercises (e. g. sing a scale in a range where you feel comfortable). 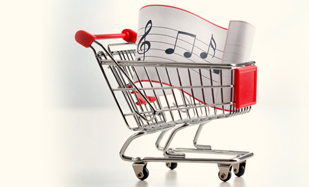 Many home singing courses make you believe that a wide range is important. However, many famous singers sing in their limited range. If they have a low voice they sing in a low voice, if they have a high voice they sing in a high range. By sticking to your natural voice, you are more authentic, and the emotions can better be conveyed. Therefore never stress your voice beyond: Overcoming lazyness and building some reserves. Sing in your preferred voice, be it "chest", "middle" or "head" voice, but sing in tune and in rhythm. All engagement and emotions are in vain, if you are not in tune and rhythm with the accompaniment. 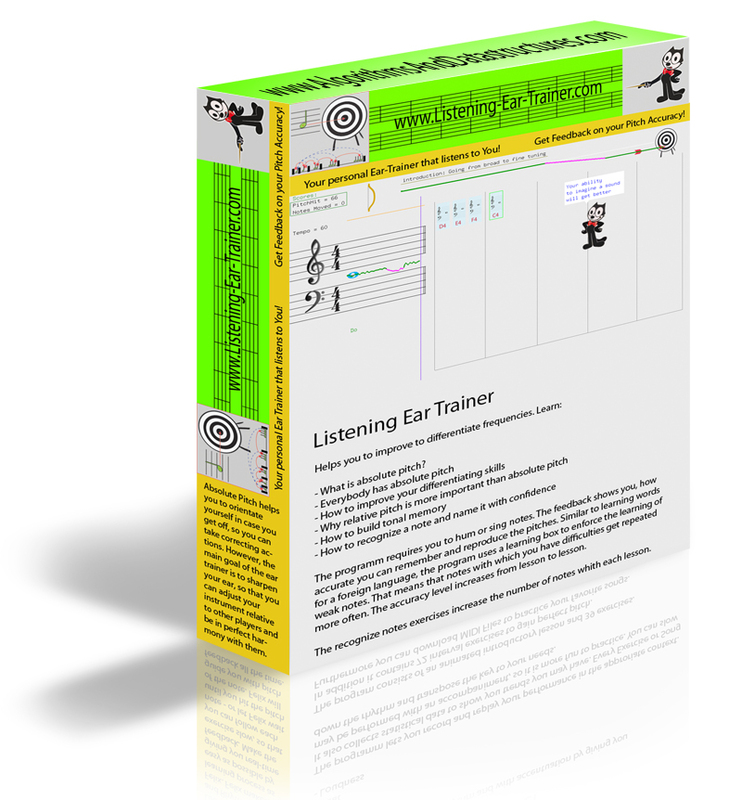 Download the Listening Singing Teacher from the Download tab. 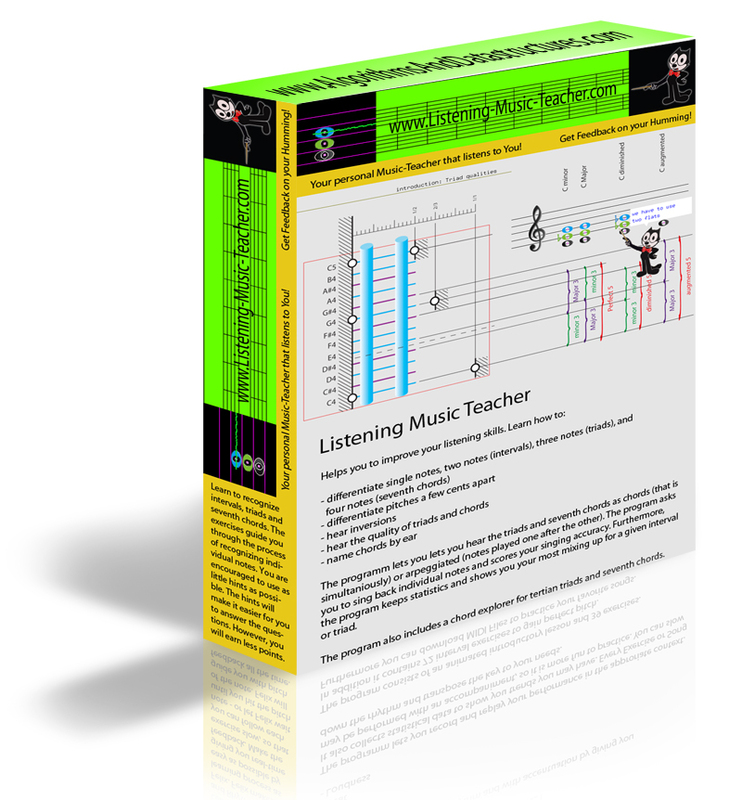 Enjoy ten hours of free singing feedback from Listening Singing Teacher. Within the program choose "Goto Shop" on the "Select User" page. You will be transferred to the esellerate shopping cart. If you have a coupon code (e. g. special school rebate), please, do not forget to enter the coupon code and press "Enter". If you press "Buy", you get the option to buy a CD. The CD is none refundable. Upon successful purchase the program gets automatically activated and you receive a serial number via email from esellerate. You do not need a permanent Internet connection to use the program. In case you have to restore your computer, you can activate the product again by entering a valid serial number for that computer. Use the link "Buy serial number using a browser" below which will open a secure connection to the esellerate web-store. Be sure to select the right product version: Windows or Macintosh. After buying the program you will receive a serial number (in the order fulfillment and by eMail). You must be online to activate the serial number. 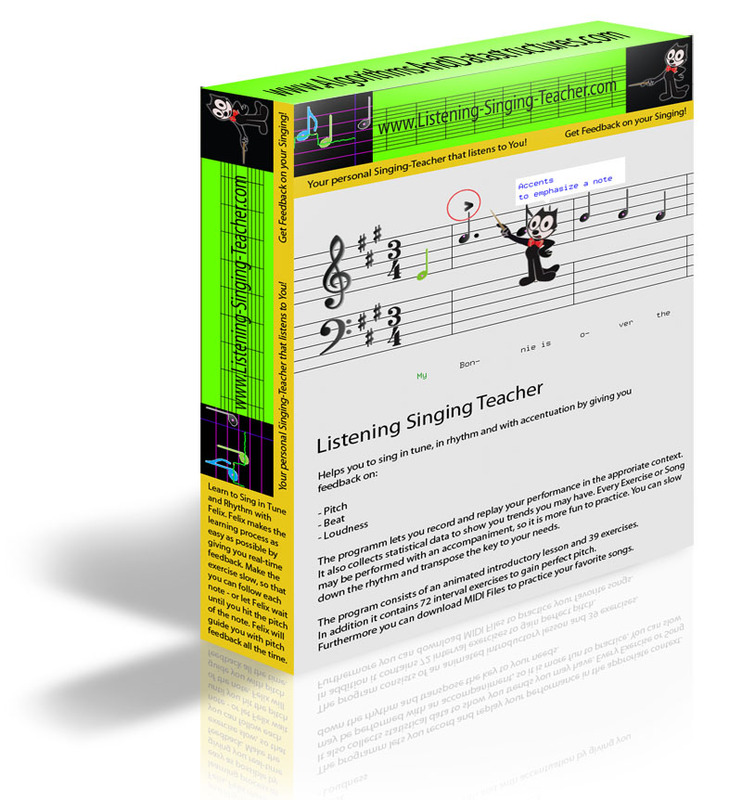 Start Listening Singing Teacher (you must have downloaded the program before, if you deleted it. go to the download tab and download it again). In the order confirmation mail select the serial number by double-clicking and choose copy from the edit menu. In Listening Singing Teacher on the "Select User" page click the button "Paste" under "Paste from clipboard". Click "Activate". You will be transferred to the esellerate activation process. If you would like to buy the program as a gift, you must order by "Buy serial number using a browser" and in this case we would recommend to order also the CD. Buying the product within the program automatically activates the serial number on the buying computer. Therefore you would have to transfer the serial number to the computer where the present should be running. However, not all computers are the same, so it can be that the computer you intend to install and activate the program does not have an appropriate sound card or microphone. In this case you can return the program. Unfortunately, we cannot refund the full price, since the payment process costs us money (esellerate will keep their commission (about 10 %)). Also if you ordered a CD, keep in mind that this item is non-refundable. We do not give you a full money back guarantee. Frankly, we even tell you that the program has a flaw: The program is supposed to give you real-time feedback. However, the underlying operating systems, Windows or Mac OS X, are general purpose operating systems and not real-time operating systems. In this way there is no warranty that you get real-time feedback. However, in most cases the CPU's are fast enough to give you real-time feedback. So, not guaranteed, your experience will be mostly real-time. This flaw is one of the reasons, why we ask you to test the program before you buy (Try to close other CPU hungry programs: e. g. browsers).. If you are serious about making progress, you will take the responsibility to evaluate the program and check the usefulness for you. Or do you believe that just by watching videos you get the next American Idol? We do not make any promises in this direction, we are just trying to help you make progress reaching your musical goals, by utilizing the power of software to give you individual personal feedback. Since we like to have satisfied customers, we recommend to test the product before you buy it (see above "Buying considerations"). Buying the product untested for a Windows computer is much riskier to fail than for a Macintosh computer, since the variations of sound cards and microphones is much smaller on the Macintosh market. We did not hear of any problems with Macintoshes with a built in microphone. However, we know about Windows-laptops with very bad microphones. Please test your microphone before ordering: You should still be able to get the maximum level if you speak normally from a distance of 2 meters (if you turn the microphone level fully up, you should not have to shout). Headphones with a microphone are of course different and are the preferred way to use with the program. We prefer that you do not buy the product, if the trial does not work for you (may it be due to the microphone, your special voice, your environment (microphone picks up electro-smog or other grumbling), or whatever. However, we appreciate any feedback about what was not working for you, why you prefer to go with the competition, what we should improve,etc. We take responsibility for our software and try to fix any problems, which stay in our possibilities. Thank you for your comprehension and time considering us!